To rise to the top of the boxing world, an athlete must be intelligent, physically fit, dedicated, aware, and, as many former champs have attested to, a little bit lucky. Because so much is demanded of boxers—because there’s always a younger, hungrier, and more skillful opponent on the horizon—some high-level competitors fly under the radar; that is, their accomplishments and capabilities are overlooked as a result of the sport’s breakneck speed. Today’s starts soak up the entirety of the spotlight, while yesterday’s stars don’t usually receive much respect. Let’s take a quick look at three of the most underrated boxers of all time—boxers who recorded magnificent achievements and made their mark, but who don’t necessarily receive their due from contemporary pundits. Jake “The Bronx Bull” LaMotta was the subject of Martin Scorsese’s famed Raging Bull film, and in many ways, his out-of-ring pursuits overshadowed his boxing achievements. Consequently, LaMotta is remembered today as something of a media figure. He was a media figure, to be sure, but there’s no denying that LaMotta was also a legendary practitioner of the sweet science. The New York native channeled his aggression and troublesome personal habits into training, and with the help of his brother and an unrelenting will, he became one of the most notable boxers of Forties and Fifties. 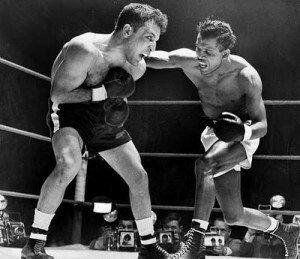 LaMotta wasn’t knocked down or stopped with strikes until the twilight of his career; he fought Sugar Ray Robinson six times, in what was one of the most fantastic rivalries in boxing; and he gave a number of skillful opponents a very, very hard time in the ring. Take a quick trip to YouTube to see LaMotta’s refusal to quit in action. There’s a lot more to George Foreman’s achievements than his multi-million-dollar grills. Throughout his 28-year boxing career—which spanned from the time he was 20 until he was nearly 49—Foreman was finished just once, by none other than Muhammad Ali, who also happened to snap Foreman’s 40-0 professional record. 68 of Foreman’s 76 wins came via knockout, and overall, he lost just five matches—roughly six percent of the fights he accepted throughout three decades! The quality of Foreman’s career is further amplified by the fact that he made a successful comeback, which came when he was nearing 50 years of age. At 47 (almost 48) years old, Foreman topped Crawford Grimsley for the WBU and IBA heavyweight titles—Grimsley, a 23-year-old star who hadn’t been defeated! In short, comebacks like this almost never happen in the “real world”–or in the movies! 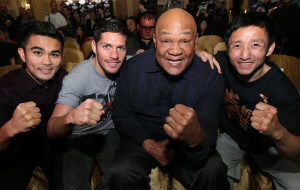 It can safely be stated that George Foreman, even in his ripe old age, can safely dispatch younger opponents; the man doesn’t need a bodyguard, a home security system, or any other type of protection. He’s got it under control! Evander Holyfield has had his share of ups and downs in and out of the ring, but taken as a whole, his boxing career is terribly underrated. Most people remember when Mike Tyson infamously bit Holyfield’s ear, but few remember when Holyfield defeated Tyson via TKO in their first fight, which came at a time when Tyson was viciously dominating the competition. The same is true of Holyfield’s one-in-a-million bout against George Foreman. Similarly, Holyfield’s riveting series with John Ruiz isn’t often mentioned, nor is the fact that Holyfield managed to do what so many of history’s greatest boxers were unable to: retire on a win. Hopefully this list provides some newer boxing fans with the information and foundation they need to learn about the sport’s most underrated competitors. Boxing’s history is rich, and in between today’s many exciting matches, viewers should flip on the computer and relive the many exhilarating contests that the twentieth century brought with it. Thanks for reading, and here’s to the magic and appeal of the sweet science! Three boxers are usually always on everyone’s pound for pound best fighter of all-time. This writer’s choice is “Sugar” Ray Robinson. He once defeated Henry “Homicide Hank” Armstrong when the latter was well past his fighting days. Armstrong is another considered to be an all time great as is Willie “Will o’ the Wisp” Pep. It should be noted that none of these three fought with their names at birth. Robinson was born Walker Smith, Jr., Armstrong was Henry Jackson and Pep was Gugliermo Papaleo. Robinson had a record of 174-19-6 with 109 stoppages. He held the World Welterweight Title from December 1946 to February 1951 before winning the middleweight title for the first time from February 1951 to July 1951. He would regain it a second time in September 1951 to December 1952. He then won it for a third time holding it from December 1955 to January 1957. Finally for a fourth time from March 1956 to January 1960. 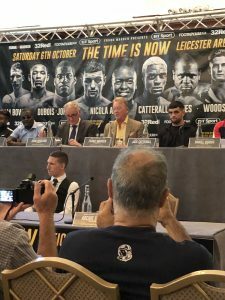 Robinson challenged for the Light Heavyweight Title that Joey Maxim held and was well ahead after thirteen rounds but couldn’t come out for the fourteenth due to heat exhaustion. The temperature at ringside was 103 degrees. It was the only time in his career he was stopped. He was 132-3-2 and retired for the first time. He came back after thirty months and his record from there on was 42-16-4. Like too many boxer’s he stayed around too long. He defeated fifteen former, reigning, or future world champions. When Robinson left boxing he dabbled in acting. He was also known for the best rope jumper and a great dancer. In 1069 he founded the Sugar Ray Robinson Youth Foundation in Los Angeles. Armstrong was 152-21-9 with 101 stoppages. He first won the World Featherweight Title holding it from October 1937 to September 1938. He jumped over the World Lightweight Title and won the World Welterweight title holding it from May of 1938 to October of 1940. During this period he won the World Lightweight Title holding it from August of 1938 to August of 1939. He attempted to win the Middleweight Title from Ceferino Garcia who was recognized in California and New York but the decision ended in a draw. This is when there was one organization and 10 contenders. Much different than today with 4 or 5 organizations with at least 60 or more contenders. All three were inducted into the IBHOF in 1990. After retiring Armstrong became an ordained Minister and devoted himself to underprivileged children. One of Pep’s comments toward Middleweight Champion Rocky Graziano was “you couldn’t hit me with a fist full of stones!” Then pertaining to being married six times he said “All my wives were great housekeepers, after every divorce they kept the house!” Pep won his first 62 fights. Pep had a record of 229-11-1 with 65 stoppages. Pep held the World Featherweight Title from November 1942 to October 1948. Then, from February 1949 to September 1950. He was 134-1-1 when he lost his title to Sandy Saddler in October of 1948. Pep came back in March of 1965 after a four year and two month retirement. In his second fight back this writer was at ringside when he defeated Philly’s Jackie Lennon in April of 1965 over six rounds at the Philadelphia Arena. At age 42 he still looked good to me. In his comeback he won 9 straight before losing his final fight in March of 1966. After retirement Pep became a prominent referee and a Connecticut Boxing Commissioner. Bert Sugar’s 100 greatest fighters list was No. 1 Robinson, No. 2 Armstrong and No. 3 Pep. I find it hard to argue with that. How about you?